Epiroc Mining India, the new demerged entity of Atlas Copco, showcased its Drill Jumbo Boomer L2D hydraulic and semi-hydraulic machines – AirROC D40sh and AirROC D35sh, respectively. It also displayed its range of small, medium and heavy breakers, and stock drilling tools line of top hammers, down the hole and rotary drills. According to company officials, Epiroc is offering mining and civil engineering products with cutting-edge, world technology and automation. Epiroc’s simulator creates a virtual reality environment for drilling while the futuristic Certiq software makes life simpler for operators, providing reports for multiple machines with just a click. Epiroc produces drill rigs, rock excavation and construction equipment, and provides world-class services and consumables. 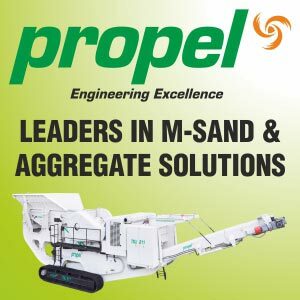 The company has state-of-the-art factories in Nashik and Hyderabad, and a world-class engineering centre in Bengaluru, and sales and regional offices across the country, and is also present in over 150 countries. Following the demerger, Atlas Copco now caters to industrial customers, while Epiroc focuses on mining, infrastructure, and natural resources. The brand identity was launched at Excon by noted speed painter Vilas Nayak who unveiled a beautiful logo for Epiroc.